Friday, March 8th, the Sea Of Glass—Center For The Arts presents The Willie Green Project modern jazz group from New Orleans. Made up of some of the city’s most promising young talent, the band represents the next generation of great jazz musicians emerging from the birthplace of the genre. The band features Willie Green on drums, Taylor Mroski on bass, Andrew McGowan on piano and Trevarri Huff-Boone on saxophone. Since he graduated university in 2015, Willie has had the opportunity to play with New Orleans’ most promising up-and-comers and local legends alike, including Ellis Marsalis, Roderick Paulin, Gregory Agid, Betty Shirley, Michael Watson, Roger Lewis, and more. 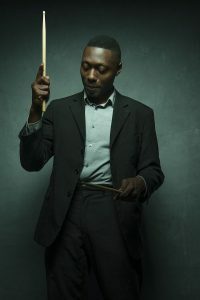 He has played major festivals both at home and across the world, including Manchester Jazz Festival in UK, Mid Atlantic Jazz Fest, French Quarter Festival, and New Orleans’ world-renowned Jazz Fest. The Willie Green Project is on tour with their debut album, Love Will Find A Way. Willie hopes to continue spreading a message of peace through his music. Proceeds benefit scholarships for the University of Ascension Science and the Physics of Rebellion and internships for Avalon Organic Gardens & EcoVillage. The Sea Of Glass—Center For The Arts is located at 330 E. 7th St., Tucson, Arizona next to the Hippie Gypsy. For tickets or more information call (520) 398-2542 or visit theseaofglass.org. To assist those in financial need, the Sea Of Glass offers an Avalon Gardens Hands-In-The-Soil work reciprocation program where forms of non-monetary reciprocation can be exchanged for services. Reciprocation must be made in advance of show. Call 520-603-9932 to inquire.